Good day to you all! Are you ready for an awesome post? Today we are talking about kitchens. 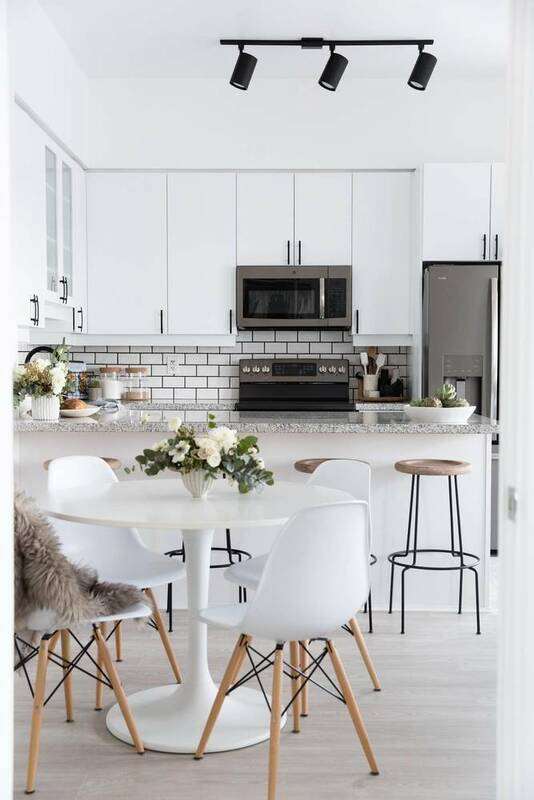 I have an all white kitchen, and sometimes it looks just too simple. 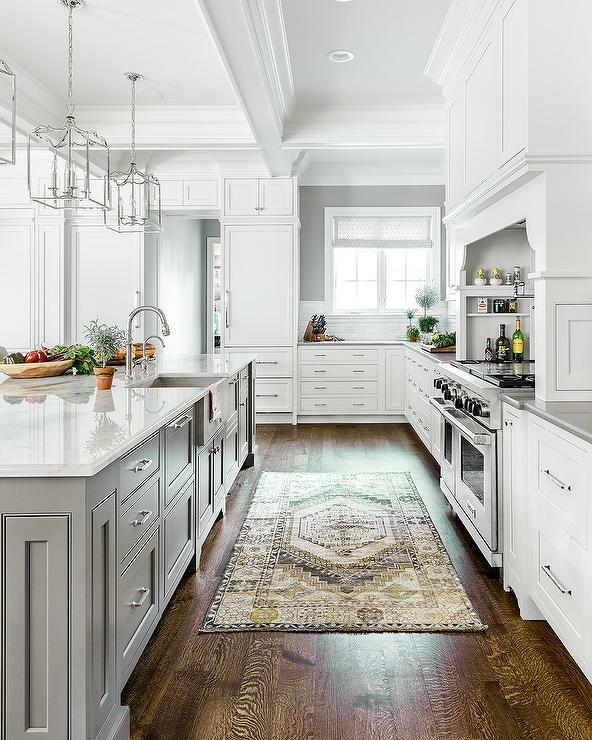 The white color gives the kitchen a spacious and airy look. By adding a certain detail, you can easily make a statement. 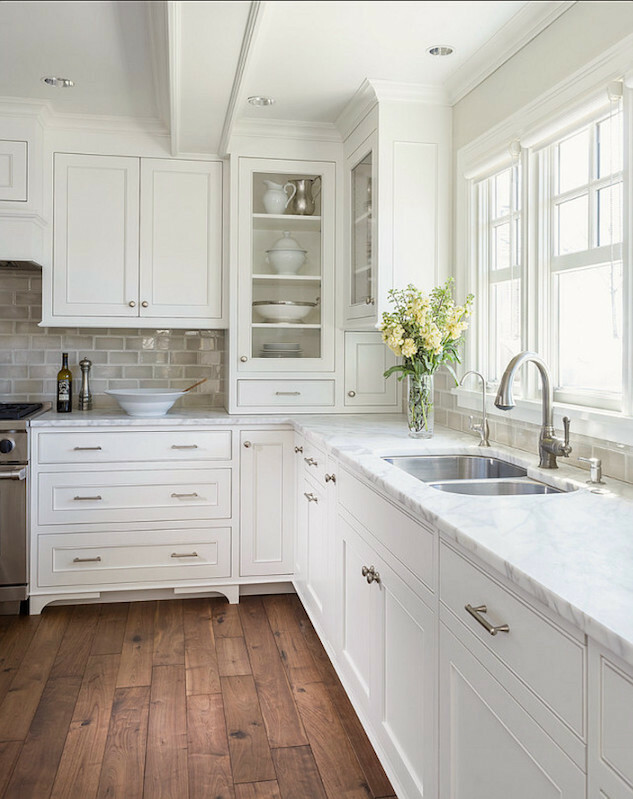 That way, your kitchen will remain airy and look bigger, but you will have something that will stand out. 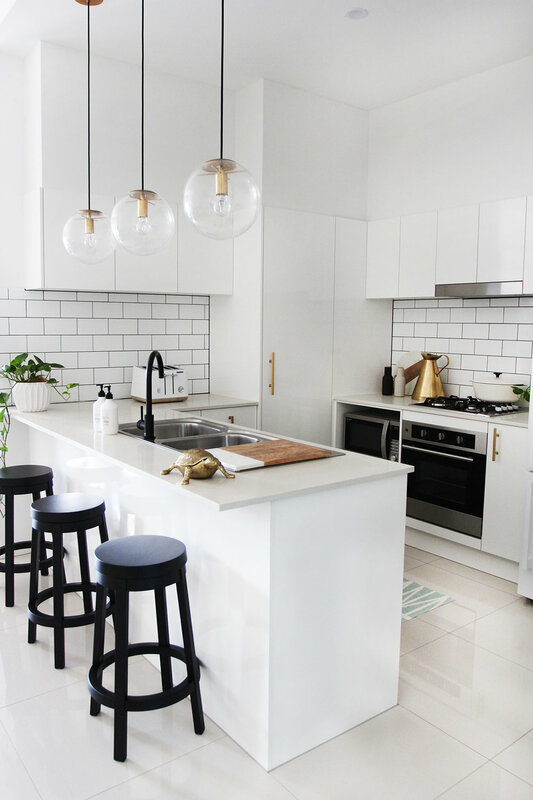 So, check this guide and find out how to decorate a white kitchen! 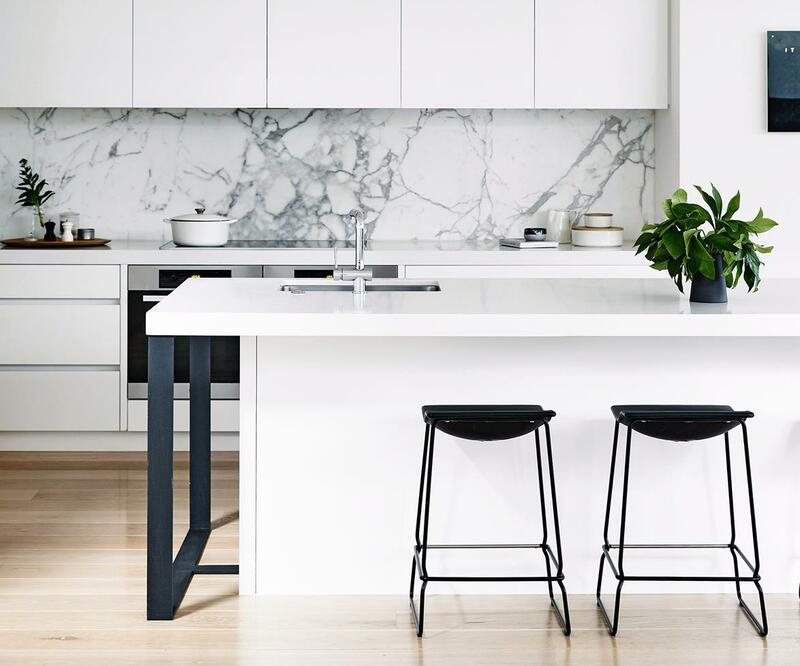 Marble is a nice way to bring out the whiteness. 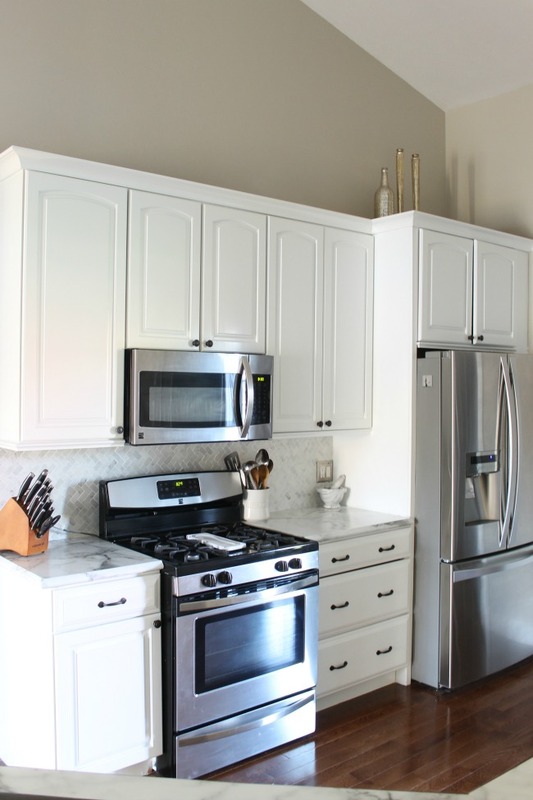 And it is a huge hit when we talk about backsplashes and countertops. Fake or real, it does not matter. You can choose the option that works for you. 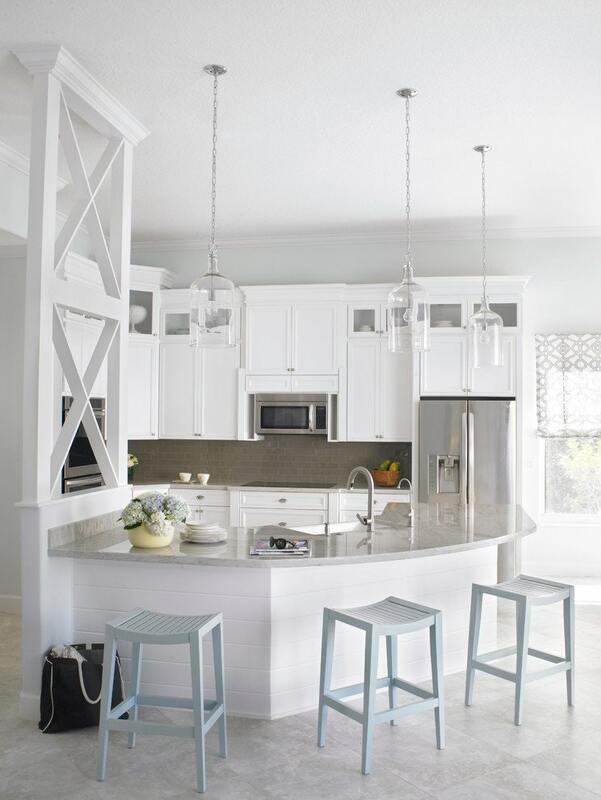 It is still white, but has to offer a subtle visual interest and tends to become a focal point. Play with texture. 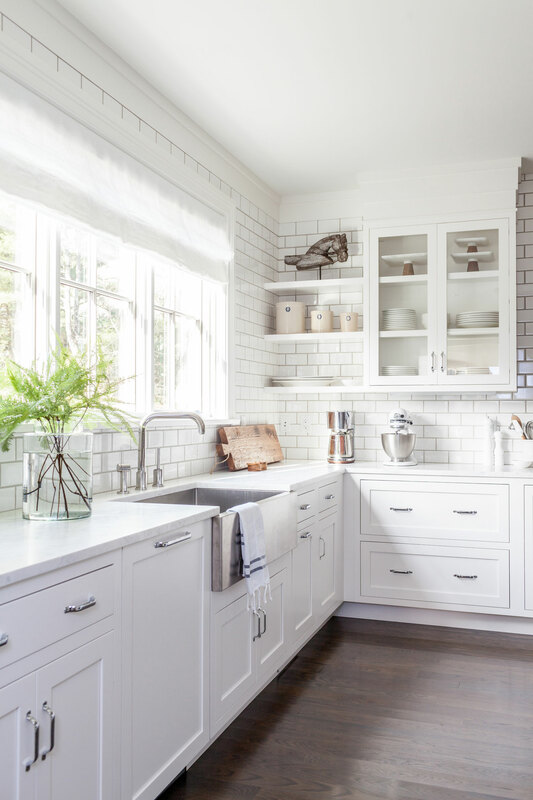 You can still keep things white, and have dimension at the same time.A subway tile is a nice way to add texture in the kitchen. A wooden floor would be a nice addition too. Add an eye catchy rug. This one will spice things up and make your kitchen pop. This is a cheap update that anyone can do and is basically effortless. Despite for looking awesome, it will warm your feet too! How about outstanding hardware? The white can act as a blank canvas and let you be the artist. 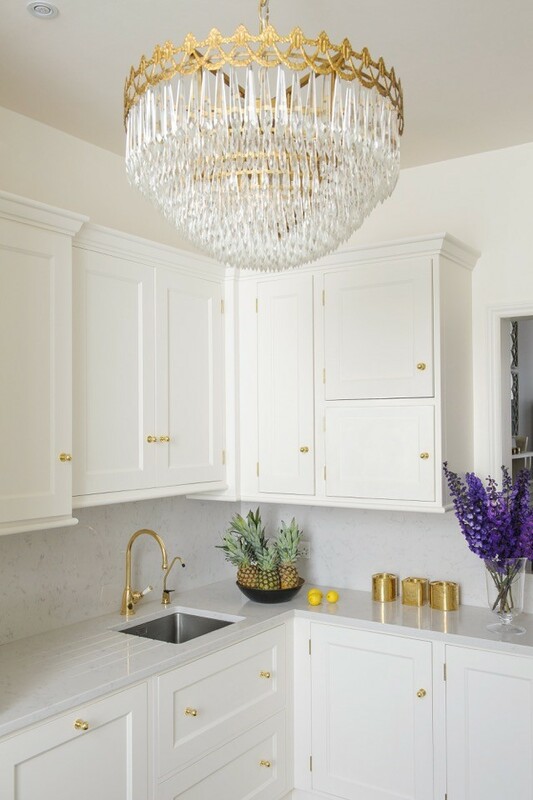 For white cabinets and countertops, you can choose golden tap and handles. You can even go for matte black ones. 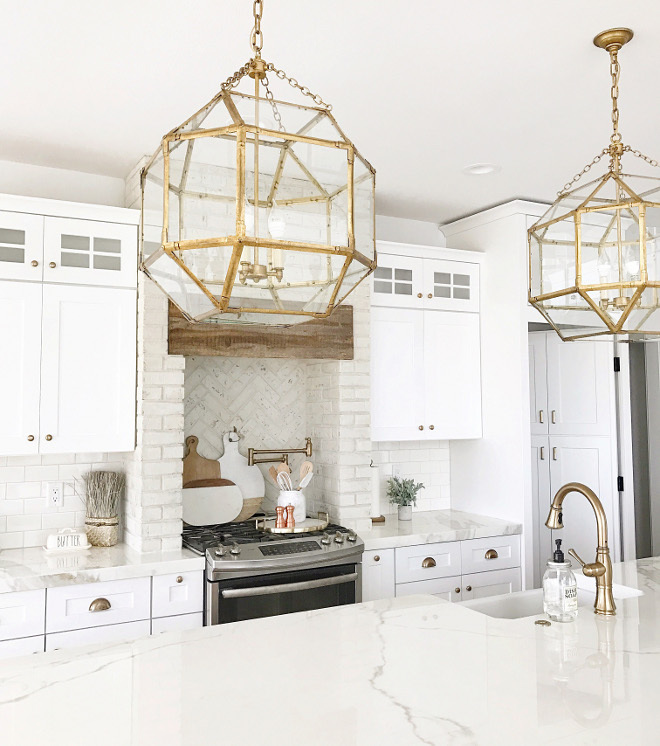 Add pendant lights. 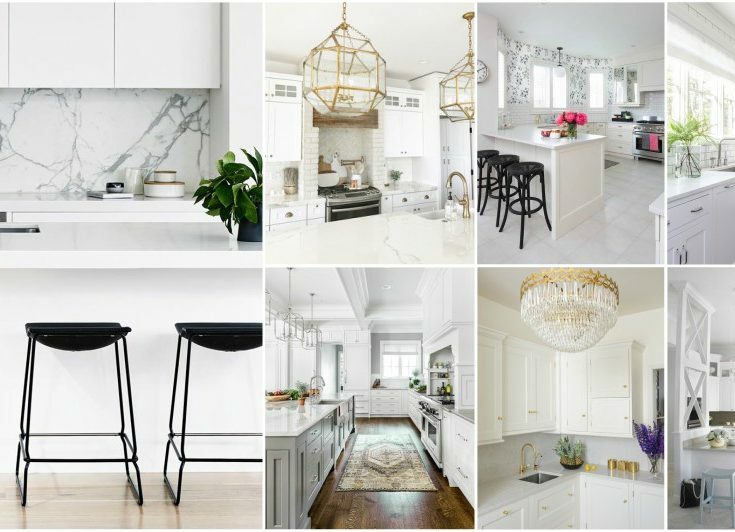 As these look stunning, you will bring a luxurious note to your kitchen. 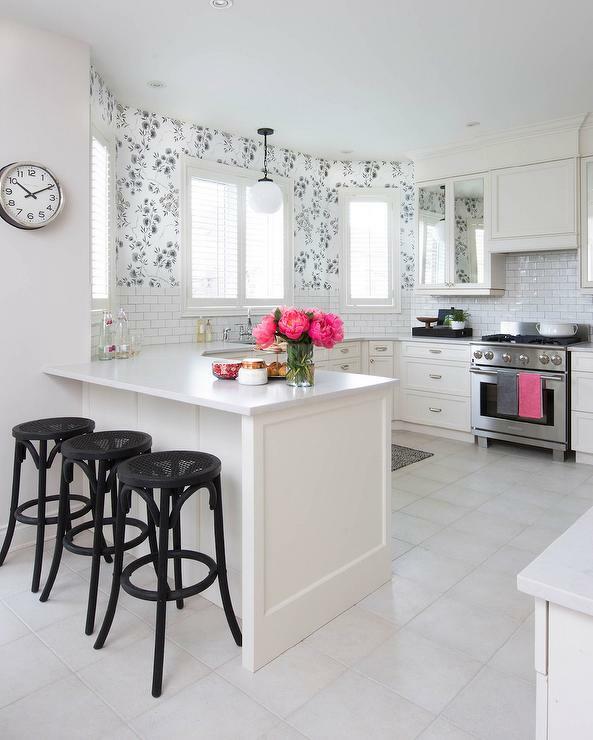 And this is a great way to make a statement in a white kitchen.